Former Dundalk FC defender Simon Kelly has joined Northern Irish Premiership side Warrenpoint Town. Kelly moves from Glenavon to link-up with Stephen McDonnell's side in a player-coach capacity. The pair were involved in the management of Quay Celtic last season. The Milltown side have already a hearty local contingent in their ranks with McDonnell as manager and Anton Reilly, Emmet Hughes and Deane Watters members of the playing staff. Another former Dundalk player, Francis McCaffrey, recently linked up with the Down club too. Warrenpoint Town manager Stephen McDonnell and new signing Simon Kelly. Speaking on Kelly's addition, McDonnell said: "I am delighted to agree terms to take Simon Kelly in as a Player/Coach. He will offer huge experience to the group in a playing and coaching capacity. 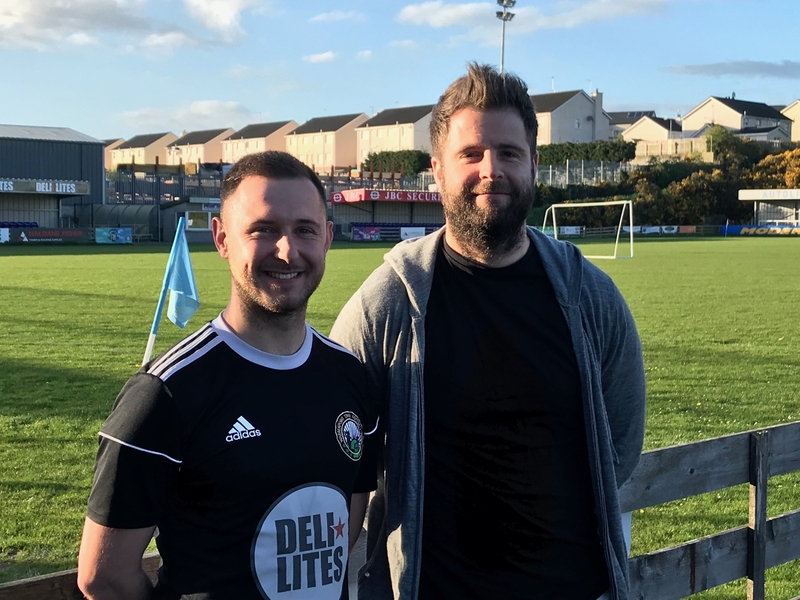 “Simon and I have played together previously at Dundalk FC and more recently enjoyed success whilst we were the coaching staff at Quay Celtic FC. I look forward to working alongside him again."